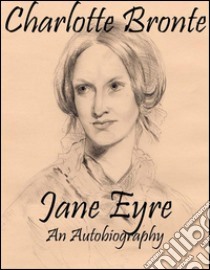 Jane Eyre : An Autobiography, is a novel by English writer Charlotte Brontë. It was published on 16 October 1847 by Smith, Elder & Co. of London, England, under the pen name "Currer Bell." The first American edition was released the following year by Harper & Brothers of New York. Writing for the Penguin edition, Stevie Davies describes it as an "influential feminist text" because of its in-depth exploration of a strong female character's feelings. Primarily of the bildungsroman genre, Jane Eyre follows the emotions and experiences of its eponymous character, including her growth to adulthood, and her love for Mr. Rochester, the byronic master of fictitious Thornfield Hall. The novel contains elements of social criticism, with a strong sense of morality at its core, but is nonetheless a novel many consider ahead of its time given the individualistic character of Jane and the novel's exploration of classism, sexuality, religion, and proto-feminism.